The people over at Instructables are always coming up with such creative and innovative light designs. 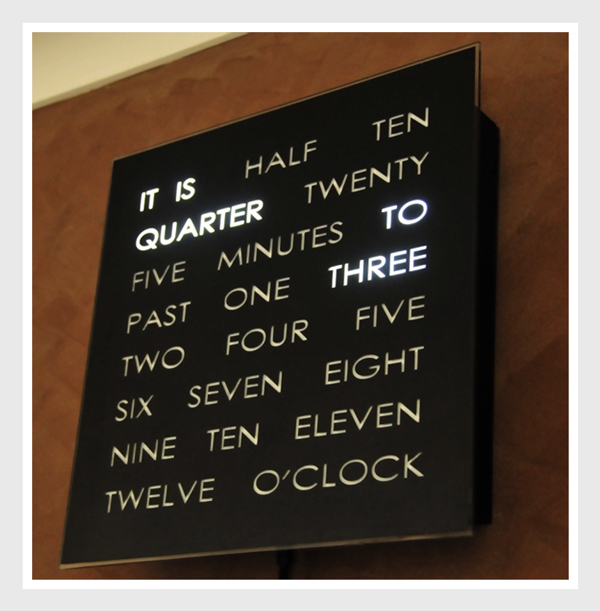 Here is another beautiful piece, the digital Word Clock designed by drj113. 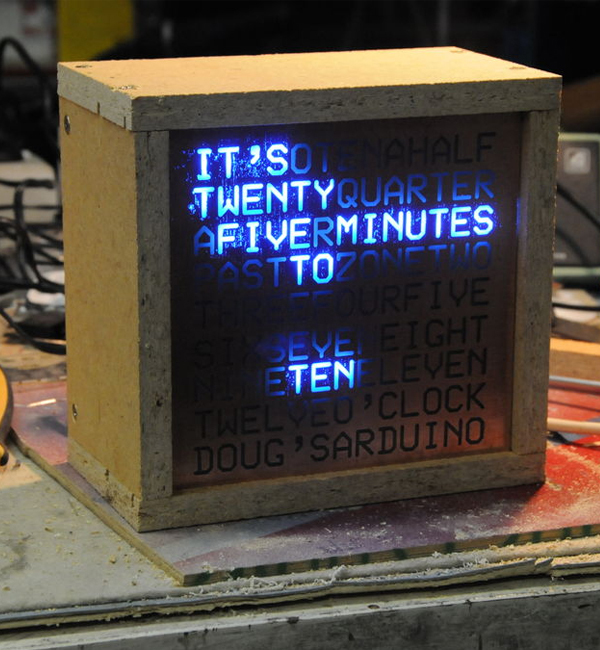 It is a clock that tells the time in words using LED lights, a stencil, an Arduino, and a number of other building materials. You can see the evolution of this project in the photos below. His latest version, some might say is the best word clock, is a lot more refined than the previous ones having cut out the face of the clock from Vinyl and attaching it to Perplex. There is a unique quality to the second version, the one with the wooden box, with its rough edges and raw style. If you have the desire to make your own, you can follow along with his tutorial here. 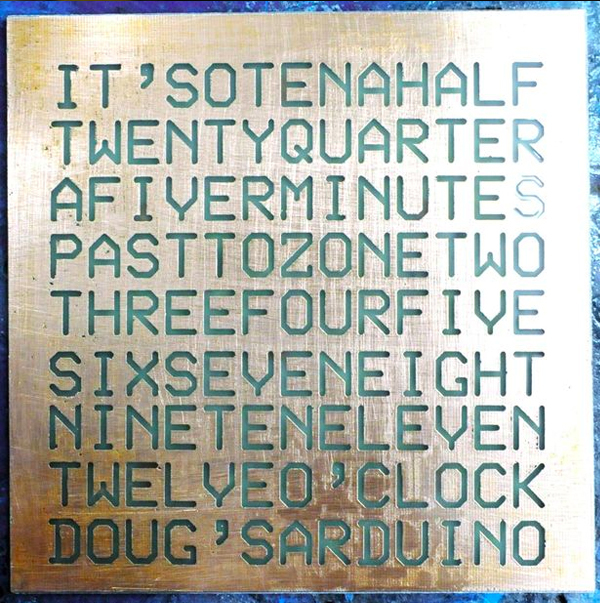 On his website http://www.dougswordclock.com there is the option to buy a DIY word clock kit or readymade versions. 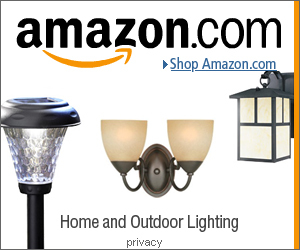 Printable Lights Could Lead to LED Skin?